Silloth-on-Solway Town Council were given a small pot of money by Allerdale Borough Council which the Town Council decided to use to support events and festivals in the town. We applied for some funding and were pleased to receive a grant of £1,300 towards the cost of staging this year’s event. The Vintage Rally has been awarded a grant of £1,800 from the North West Allerdale (Allerdale) Community Grants Fund to purchase some additional safety fencing for Rally. The fencing will also be available for use by other festivals and events held on Silloth Green. We have recently been awarded a grant of £500 from Silloth-on-Solway Community Shop towards the cost of providing children’s entertainment at this year’s Rally. 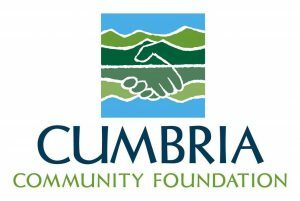 We have received confirmation that Cumbria Community Foundation have agreed to provide a grant of £500 towards the cost of staging this year’s event. Thanks go to Lloyd Carlisle for offering to sponsor our event. Keep a look out for the new V40 which will be on display at the Rally on Saturday and Sunday. Thanks also to Silloth Tourism Action Group for their support this year. The Vintage Rally committee are sincerely grateful for all the valuable support we have received this year, as without this help we would not be able to put the event on.